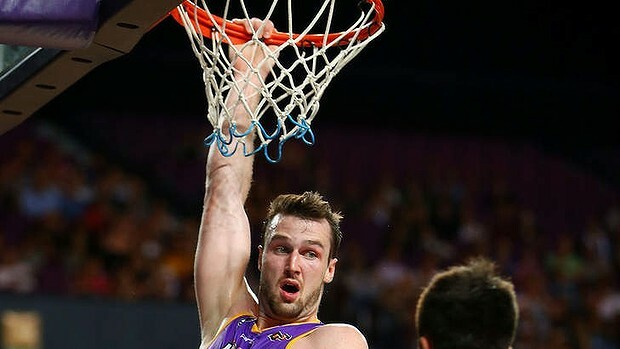 In what is possibly the last game of the season for one of Sydney's imports the Kings got a win at Home against the Townsville Crocodiles 88-67. The Crocodiles have so far this season only been able to beat the New Zealand Breakers and were dominated by AJ Ogilvy who made several big dunks and blocks owning the keyway for the kings. The first quarter went all for the Kings at home with the Townsville Crocodiles having no luck with the refs and the Kings forced several turnovers. It seems the old NBL reffing is creeping back as the season progresses with 3 highly physical games so far this week. The score was 16-9 by the 5min mark of the quarter. AJ dominated early with his second big dunk just over the 5 minute mark followed by a big block on Steven Markovic. With 2 minutes left in the quarter the Kings were already up by 10, 23-13. In the last minute of the 1st quarter Jesse Sanders made a nice round and under the rim lay up and the quarter ended 27-19. To open the second quarter Townsville scored the first 4 points and kept it competitive 27-23 with 8 minutes left to go in the quarter. Townsvilles import Josh Pace made a big block on Charles Carmouch but Carmouch follows it up with a 3. Its a big game for both of the Kings imports with no announcement as to who will be going home. Ben Madgen made some nice plays and looks to be getting back to form more and more in every game. Jesse Sanders missed a nice drive but AJ Ogilvy slamed it down with authority. Head coach Shande Heal did say after the preseason AJ Ogilvy could dominate this league and looks like he has started too, averaging a double double in his last few games. with 2 minutes left in the quarter the Kings have extended the league 40-25. Sanders closed the half with another up and under the rim lay up and the Kings are dominating 40-27. The Kings look really strong when Sanders is on the floor and in my opinion the team would be better off keeping Sanders and letting Charles Carmouche go for Sam Young but its a tough call with two good players. Sanders had a big game as he made a 2 on the shot clock buzzer then made a steal ran the floor and layed it up. Looks like he is playing for his job and making a very good argument for the cause. Townsville made a run to try to keep it competitive with back to back 3's from Russel Hinder but Charles Carmouche got back on the court and nails a 3 and get Sydney were back out to 61-43 lead. With 3 minutes left in the 3rd quarter Jesse Sanders took a seat and the Kings already looked shallower. If he does go they will definitely be weak at the point. On the buzzer at the end of the quarter Ben Madgen hits a 3 and the Kings hold a 13 point lead 65-52. The final quarter opens with Brad Hill draining a lay up and Jesse Sanders is slowly racking up the stats. Ogilvy has another big block and the Kings hold their lead to close out the game 88-67. In a game that should keep Jesse Sanders in the league he finished with 14 points, 3 steals, 4 assists and 5 rebounds. Charles Carmouche had 12 points, 1 assist and 1 block. 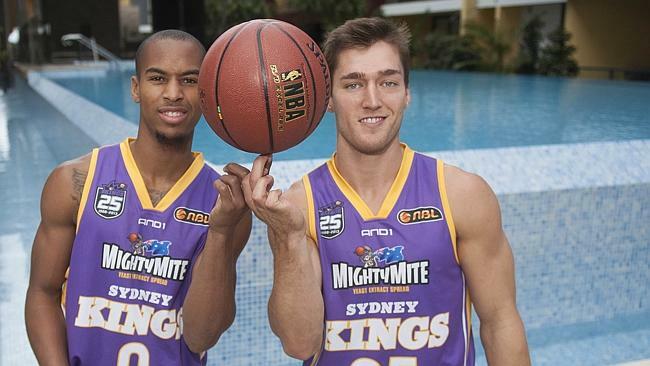 Shane Heal may stick with Charles Carmouche who has had several big scoring games for the Kings but if he does i wouldnt be surprised if Melbourne try to pick up Jesse Sanders who proves he belonged in the league. AJ Ogilvy had another big double double with 15 points, 14 rebounds, 5 blocks and 3 steals. 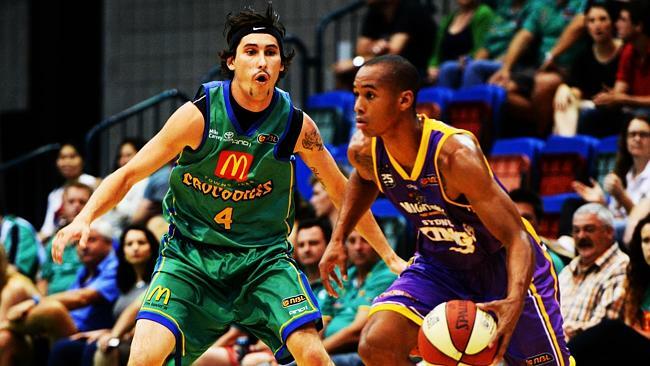 For Townsville Josh Pace had 14 points and 5 rebounds and Russell Hinder had 10 points and 8 rebounds.